Wow! This Golf is Like New! Super Clean, inside and out, Excellent Condition! Fully Loaded! 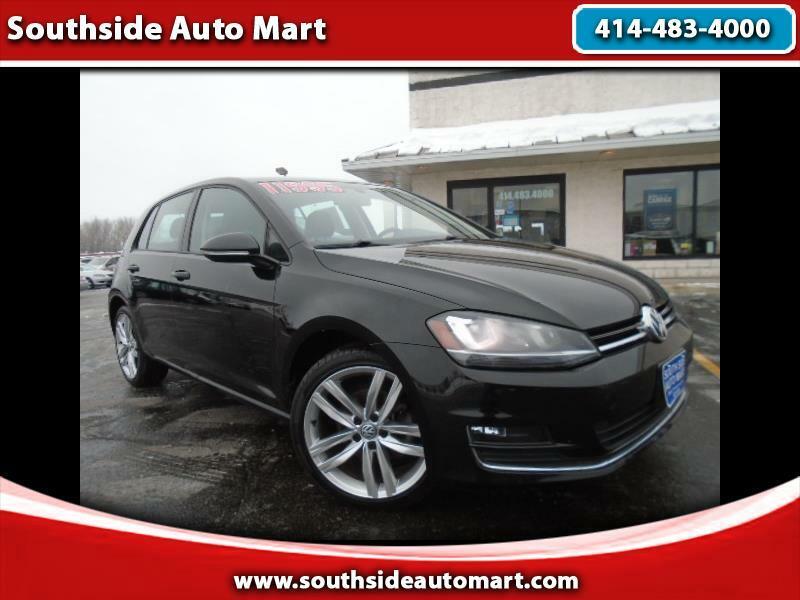 Equipped with Backup Camera, Alloy Wheels, Fog Lights, Heated, Leather Seats, Keyless Entry, Push Start Ignition, Power Moonroof and much more. This is a Must Drive! Don't miss out on this one, Call us Today! Financing and Warranties are Available. Fully inspected. Click on the CarFax icon to view the Vehicle History Report. More pictures available at customer`s request. Visit our Website at www.southsideautomart.com . Call us today for our specials on sales and service. 414-483-4000. Call us today, don`t miss out on this deal! Southside Auto Mart was voted "Best Selection of Cars Under $5,000." We are your low price leader. We will give you Top Dollar for your Trade In! Stop in and pick out one of our many reliable, low priced vehicles. At Southside we are in our 3rd generation and we are determined to get and keep your business. We have a large selection of pre inspected Quality Used Cars with a wide variety of warranty products and a large Service Department. We are the Used Car Dealership that can best take care of you before and after the sale. So give us the oppurtunity to serve you and drive off with a great vehicle at a great price.